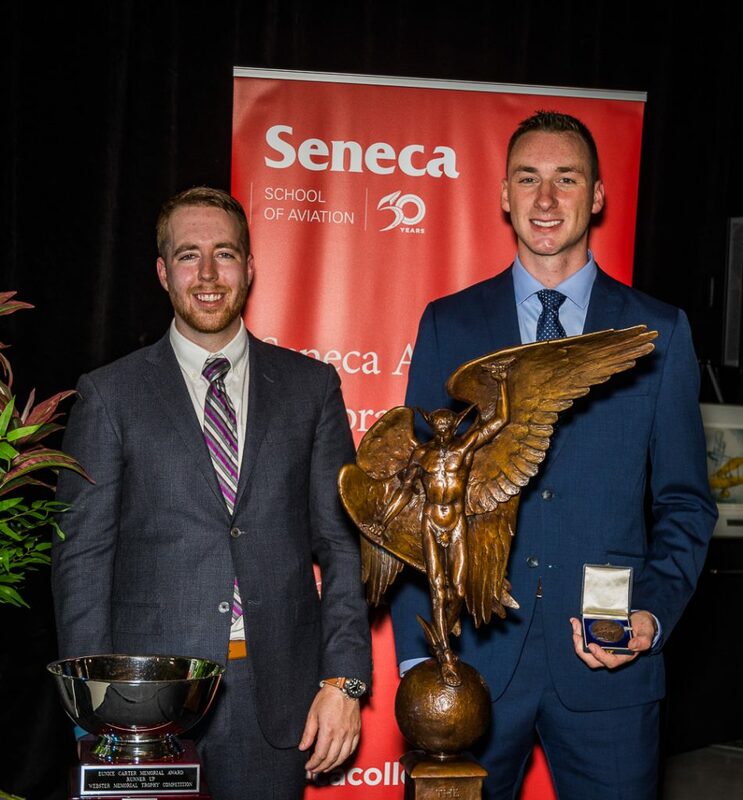 After a week of flight- and ground-based testing conducted by judges at the Peterborough Regional Airport, Carter Simpson was named as the winner of the 2018 Webster Trophy competition, which is designed to recognize Canada’s Top Amateur Pilot. Simpson is from Seneca College, whose students have won the past four out of five Webster competitions. 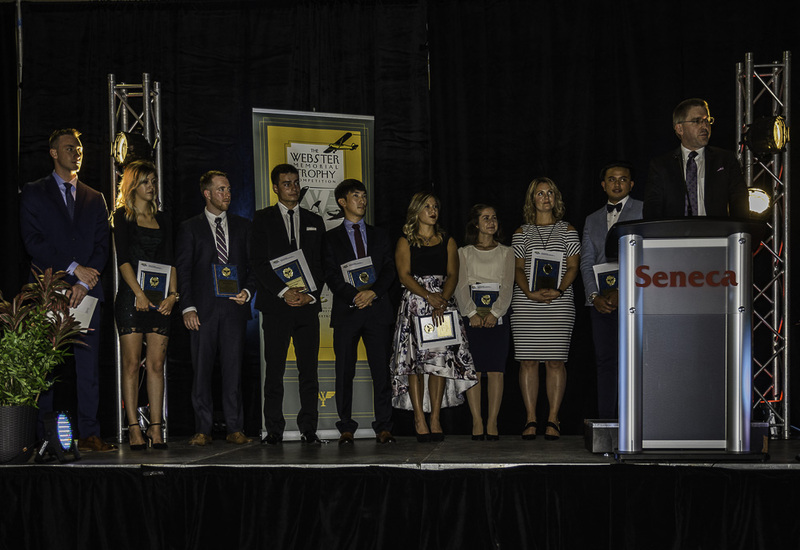 He was the Eastern Ontario Region Finalist competing against nine other regional finalists from across the country. 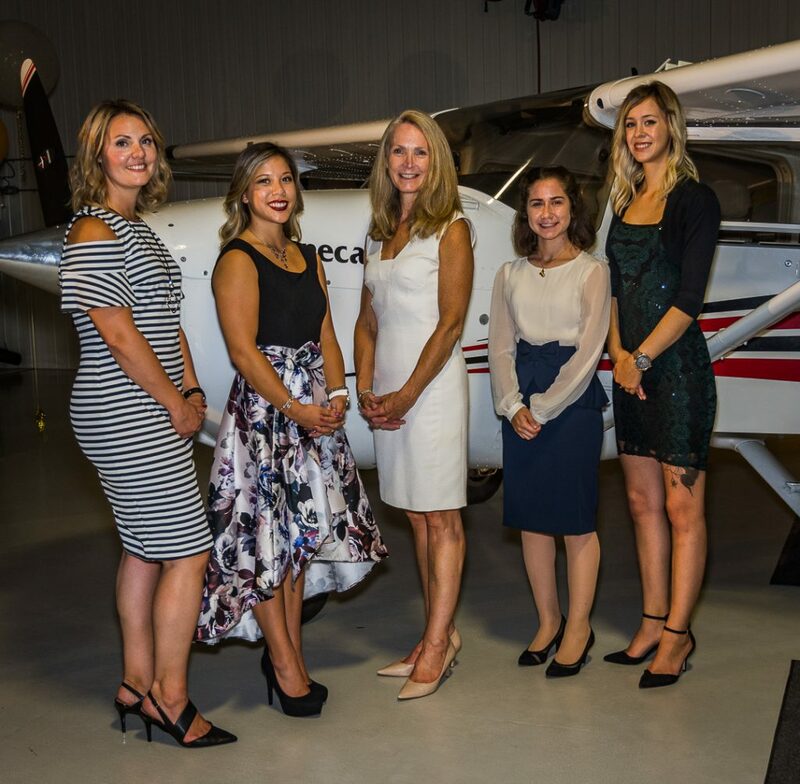 This included Jonathan Littler, the Central Ontario Region Finalist from Brampton Flying Club, who was the competition’s runner up and winner of the Eunice Carter Memorial Award.